“Lima” (“Five”) is an innovative Indonesian film that has been released on 31 May 2018 to reflect on Pancasila (national ideology) Day. Differently from other films on the same topic, Lima refrains from being propagandistic and instead probes the depth of the five principles of Pancasila, questioning what it really means to be a tolerant, pluralist, just, consultative and inclusive society. The plot of the movie centers on three siblings who struggle to cope with the death of their mother Maryam. Two of them, Aryo and Ari, are Christians like the late father and their sister, Fara, is Muslim like their mother. Preparation for the funeral exposes societal tensions as the siblings eventually decide to perform funeral rites in a way that accommodate their diversity. After the ceremony, the siblings have to adjust to a life as orphans while they are confronted by challenges in their respective daily activities. The domestic worker, Ijah, who has become part of the family while having to leave her children in her native village, also confronts her own vulnerability and the unfairness of institutions to poor people. The articulation of the five core values of Pancasila articulated through the capturing story of a modern-day family in Jakarta by five directors, have made LIMA into a great success it was screened for more than two weeks in major cinemas. The movie’s appeal goes well beyond Indonesia though, since although embedded in the Indonesian context, LIMA speaks to universal values. In recognition of its relevance for people all over the world who are confronted with increasing levels of intolerance and inequity and to provide greater understanding of the challenges facing Indonesia today in maintaining an inclusive society, SEA Junction held a World Premiere of the movie on 25 July at 6-8 PM at the Auditorium of BACC in collaboration with the Embassy of Indonesia, Film Kawan, Documentary Club, Indonesian Scholars’ Alliance, ASEAN-China International Program-IAC, Southeast Asia Studies Program Thammasat University, Textbook Project and other partners. The famous former model and director, Lola Amaria who is also the film producer, attended the event and after the screening engaged in a lively Q &amp; A question with the audience. It was a great success and more than 215 participants attended. A majority was composed of Indonesians, but there were also Thais, Malaysians and viewers from a variety of ther countries. Thereafter, the movie was toured in European cities, Hong Kong and the United States and will continue to be screened in Indonesia and abroad. 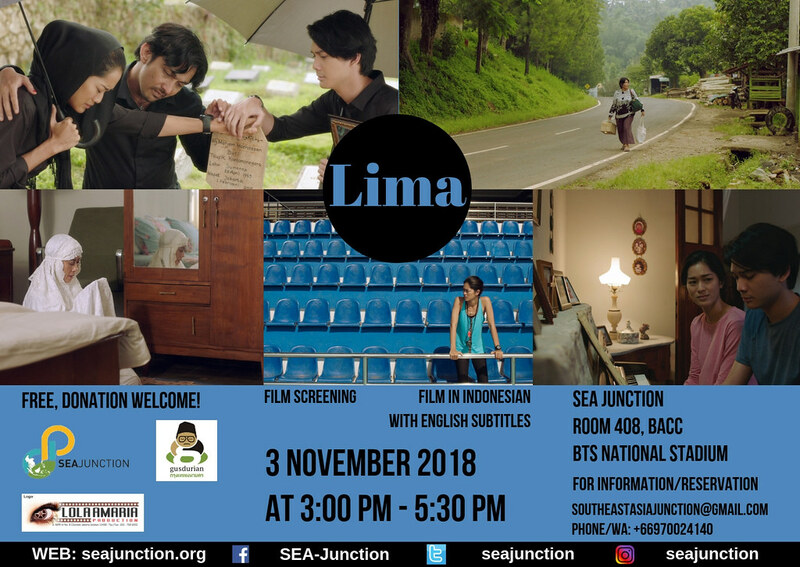 Due to request from people who could not attend the Premiere as it was not in the weekend, SEA Junction in collaboration with the Jaringan GUSDURian Thailand will hold a smaller screening at SEA Junction. Lola Amaria has kindly agreed to this additional screening (again at no costs) with the condition that the copy has a watermark text for copyright purposes. Also, please note that this time, the movie will be screened on a large television screen rather than in a movie theater setting. 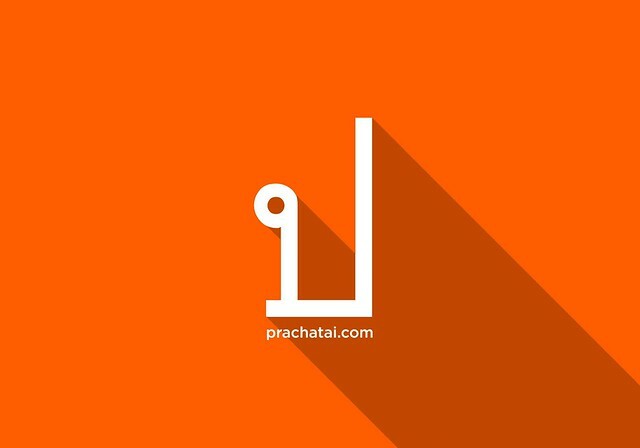 Other differences from the Premier, this time place is limited to 50 persons and the Q &amp; A session will be held by the organizers. However, like for the Premier, also this time there will be no charge, but, of course, we trust on your donations to be able to continue our activities! Directors: Shalahuddin Siregar, Tika Pramesti, Lola Amaria, Harvan Agustriansyah, Adriyanto Dewo. NB: Events are free, but donation most welcome!